Leading up to our After Hours Vendor Party on Thursday, October 27th, our regular "We Love..." blog series will be on hold so we can highlight the amazing wedding vendors that will be partying with us! If you were at our last vendor party, you'll likely remember Special Moments Catering. We loved their food and service so much we asked them to make an encore appearance in October. 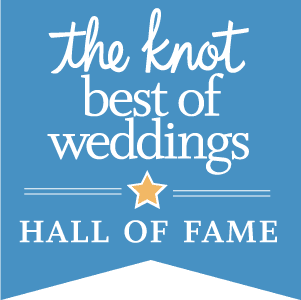 The Special Moments team has been providing customized catering and event services since 1984 and was recently voted “Best of Weddings” on The Knot. They offer full service catering for weddings of all sizes and have a huge selection of menus to choose from or they can create a custom menu for your event. Special Moments will be bringing some delicious samples for you to taste so make sure to come hungry and make some time to talk to them about your catering needs. Pour Masters is one of the most recognized names in bar tending in The Valley. With years of experience in providing the highest quality service at weddings and events they know how to mix a perfect drink (and when to cut Uncle Rico off!). Pour Masters will mixing it up at our vendor party as well as answering any questions you might have regarding bar tending for your big day. Let us know if we'll be seeing you at After Hours. You can RSVP via our Facebook event page or to hello@brilliantbridalaz.com.